Inspire Elementary strives to provide high quality learning opportunities to our students using flexible instructional groupings. We strive to meet the unique needs of our exceptional, accelerated, and struggling learners. Inspire believes that all children can learn at high levels when they have: 1) educators that know each child’s potential, 2) teachers who are committed to educating the whole child, and 3) a school that embraces the power of partnering with parents and community. Inspire Elementary is committed to the academic and social-emotional growth and development of our children. Our small class sizes create learning environments where teachers get to know each student, allowing them to truly develop and monitor learning plans that result in maximum student growth. 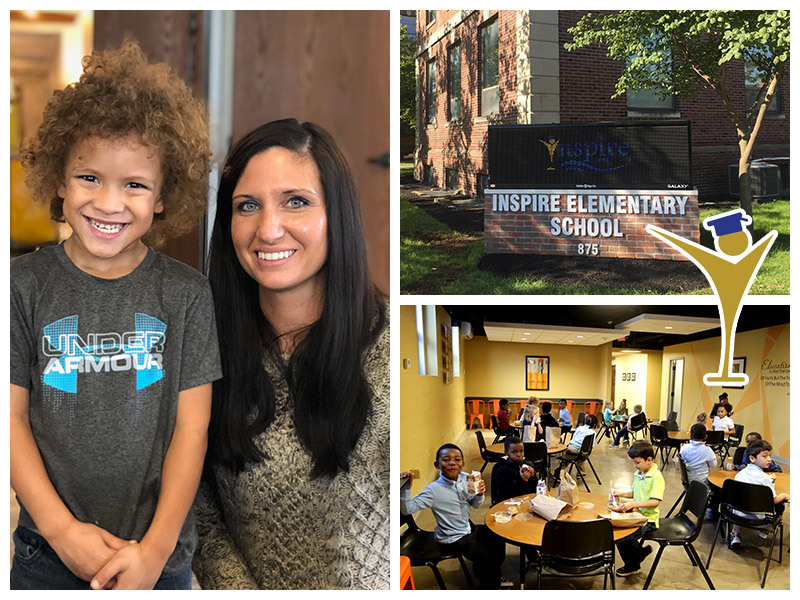 Inspire Elementary is located in Harrison West, near Downtown Columbus, The Short North Arts District, and The Ohio State University Main Campus. Our location creates the unique opportunity to explore learning beyond the classroom and school building. Inspire Elementary School is in walking distance to a host of art galleries, parks and recreation facilities, and Ohio historic sites such as the Ohio Statehouse and the Ohio Supreme Court Building. Our partnerships with The Columbus Museum of Art, COSI, and The Columbus Foundation further enrich our students’ learning opportunities and allow us to maintain our commitment to developing the whole child. Inspire is pleased to serve students throughout the greater Columbus area. Inspire Elementary is open to students across central Ohio. There is no restriction on the county or district of residence as long as students can physically attend classes at our Michigan Avenue location. We welcome students in grades Kindergarten through 5th grade to enroll for the 2019-20 school year.